Watch Dogs 2 update 1.11 is currently being deployed on PC, PS4, and Xbox One, and prepares the game for the upcoming Human Conditions DLC. Furthermore, the update adds new features and content alongside numerous tweaks and balance improvements. The 1.11 update appears to be quite large and clocks in at roughly 14GB on PC. On PS4, the update weighs in at 10.67GB. The exact size on Xbox One isn’t known, but probably won’t differ that much from the PS4 version. Ubisoft has stated to be aware of the large update size. “Because the Bay Area is very large, this patch is pretty hefty”, the publisher said. New World Locations – In preparing for the Human Conditions DLC, many new locations have been added or updated in the world map. We’re not going to list them all out here, but once this patch drops you may want to go exploring. New Dances – Marcus loves to get down to his favorite tunes, and we thought it was unfair that he only had one move to express himself. We’ve added new variations to his dance emote that can be triggered by wearing different types of clothing. New Emotes – We’ve added two new emotes, Mock and Laughing, to give you more ways to communicate with other players. Just try not to, you know, be too much of a jerk about it. New Clothing – Speaking of expressing yourself, we’ve added 12 new clothing items across various shops, and 4 DedSec clothing items. Feel free to turn your swag on accordingly. New Ubisoft Club Rewards (For Honor & Ghost Recon Wildlands) – Two new outfits will be available in the Ubisoft Club, featuring designs celebrating the upcoming For Honor and Ghost Recon Wildlands games. Bounty Hunter Respawn – We want to keep you in the fight a little longer. As a hunter, you’ll now be able to respawn once if killed while in pursuit of a hunter. You’ll respawn a safe distance away to rejoin the chase, should you choose that option. Narrative – Without spoiling all of the fun in the patch notes, we’ll just say that if you’ve finished the story you should replay the last mission to watch a little extra something at the end. We’ve also reworked the overall clarity and legibility of the Leaderboard App. We’d be here all day if we listed every specific tweak, but you should see a noticeable improvement. [Online Invasions] Display Online Invasion download zone before it begins – We want the hacker to be able to visualize the download zone when the attack is initiated. This will give the hacker a tool to be more strategic in their approach, helping to further balance the mode. [Online Invasions] No more Online Invasion radius trolling – Previously, hackers could pop in and out of the search radius without penalty to avoid being detected by the victim. This is a frustrating loophole that we’ve closed by adding a decreasing delay to return to the zone each time the hacker exits the radius (or goes into the water). [Bounty Hunter] Reduced co-op respawn advantage in Bounty Hunter – We applied the same respawn timer to Bounty Hunter targets that is present in Co-Op Missions. This should make the gameplay more balanced when there are two targets. [Bounty Hunter] Removed escape disadvantage for targets in Bounty Hunter – The police AI are no longer given the last known position of the target when a hunter enters their session. Previously, this made it very difficult to escape the police in this mode. Escape time has also been reduced once the target loses line-of-sight from their pursuers. We nerfed shotties – We discovered through extensive playtesting and data analysis that automatic shotguns were overpowered in PvP modes. We’ve reduced the effective range to 40m to make it function more like an actual shotgun instead of a medium-range random sniper headshot generator. This adjustment also affects single player gameplay. IED/ElectroShock Notifications – You’ll hear a small noise when approaching either of these devices if they were placed by another player. You’ll still probably die if you’re close enough to hear it, but at least you’ll know what happened. Hackerspace camping addressed – It was possible for a player to barricade themselves in the shop adjacent to the SF Hackerspace since there’s only one entrance. Objects, a junction box and camera have been added to this area to minimize camping. Shooting polish – We’ve made numerous improvements to the feel of shooting in the game, but nothing that impacts gameplay. Improved recoil experience, tweaks to bullet tracers, sound improvements, and more. Let us know what you think. Improved Car On Demand – Car on Demand vehicles will now spawn closer and in more convenient locations. Additionally, they’ll no longer spawn in redzones or mission layouts. 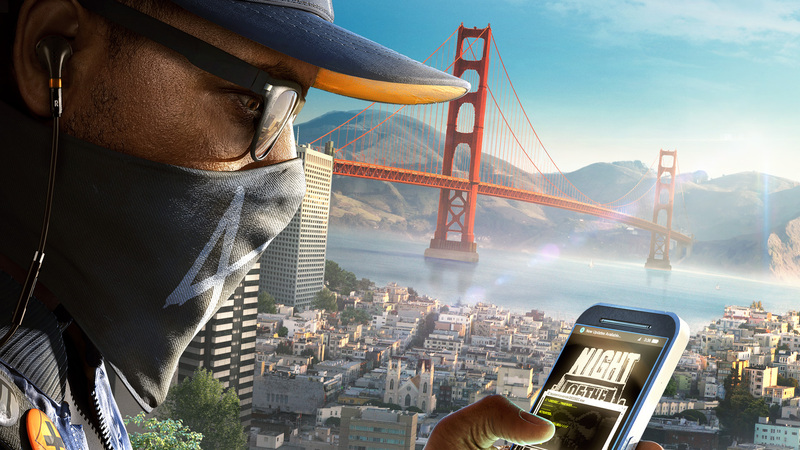 Watch Dogs 2 is currently available for PlayStation 4, PC, and Xbox One. The Human Conditions expansion will be made available on all platforms by March 31, 2017.